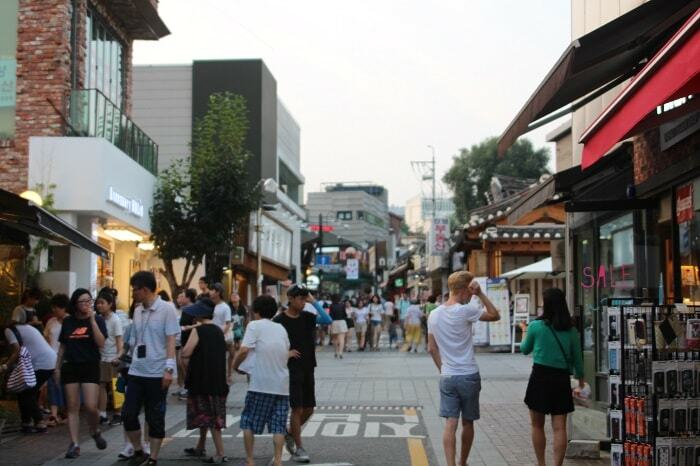 According to the Korea Tourism Organization, a total of 14,201,516 people came to Korea during the year 2014. What elements attracted them to Korea? A number of media outlets have said that one of Korea’s charms is the harmony that exists between tradition and modernity. 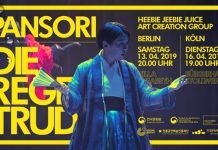 Many of them say that they are impressed by the forest of modern high-rises across Seoul, only a little distant from which are tiny alleyways full of a traditional vibe. 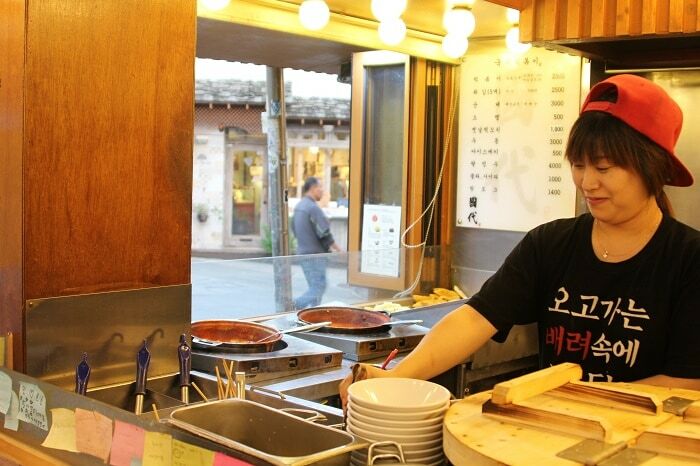 The Bukchon Hanok Village is one of the most visited tourist spots for this mixed atmosphere. Bukchon is a neighborhood located between Gyeongbokgung and Changdeokgung palaces. 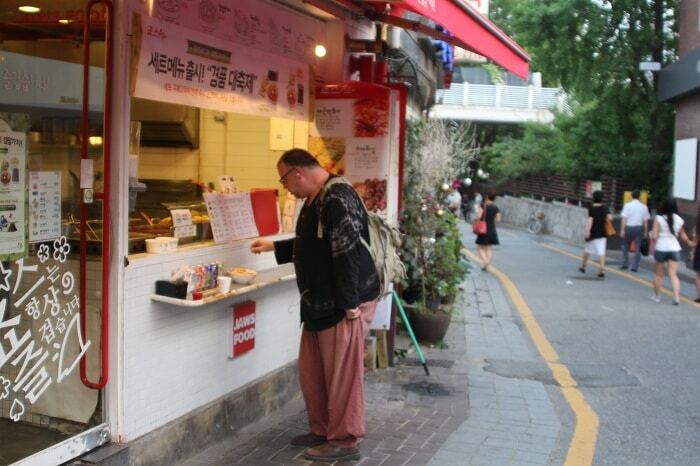 It’s called Bukchon, or “North Village,” as it is north of Jongno and the Cheonggyecheon Stream. 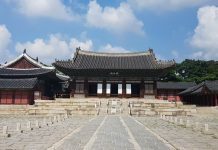 Located between Gyeongbokgung Palace, built at the foundation of Joseon in 1392, and Changdeokgung Palace, the main palace during late Joseon times in the early 20th century, Bukchon was home to influential people in higher social positions. In all, it has been the center of the city for the 518 years of Joseon rule (1392-1910). 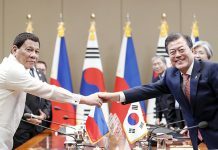 Currently, 1.2 square kilometers of Bukchon are divided into 11 smaller neighborhoods, including Samcheong-dong, Sogyeok-dong and Anguk-dong, just to name a few. The area has become a cluster for Hanok homes due to social campaigns to revive and to save traditional buildings that started in the 2010s. Over 1,300 Hanok homes can now be found in the neighborhoods. A tiny one-of-a-kind jewelry and trinkets shop can be found along one of the many alleys, catching passersby’s attention. 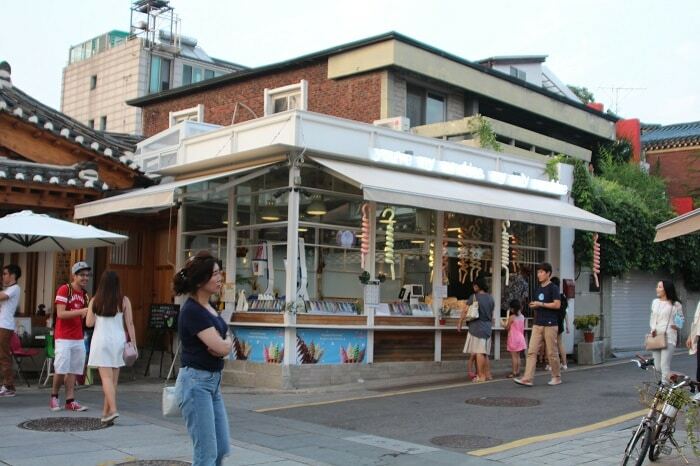 The Hanok neighborhood has now become one of the trendiest neighborhoods in Seoul. 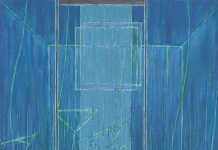 It’s especially popular among people who want to have a balanced experience between tradition and modernity that can be found in the capital city. A variety of concept cafés and restaurants, as well as fashion stores equipped with the newest items, line the streets and alleyways. 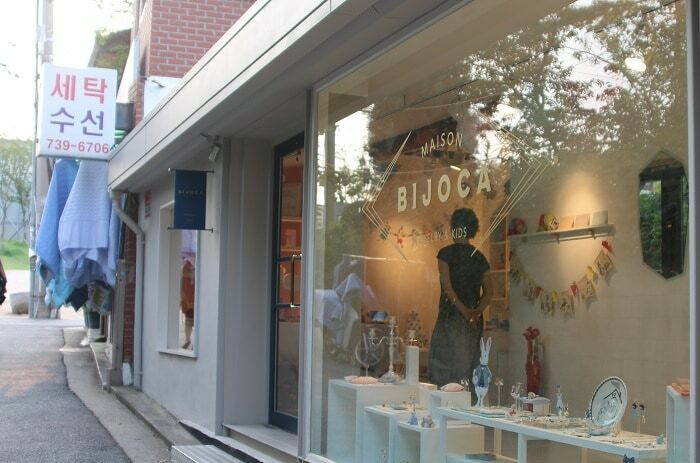 The neighborhood is also home to many museums, galleries and handicraft workshops. 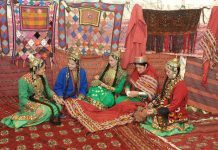 A wide variety of programs are on offer there, including folk paintings, knot tying classes, embroidery lessons and classes on natural dying. 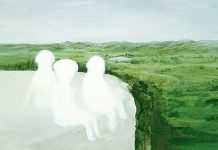 All are provided at affordable prices. Full of things to see, eat and enjoy, Bukchon is already one of the must-visit travel destinations for both domestic and international tourists. 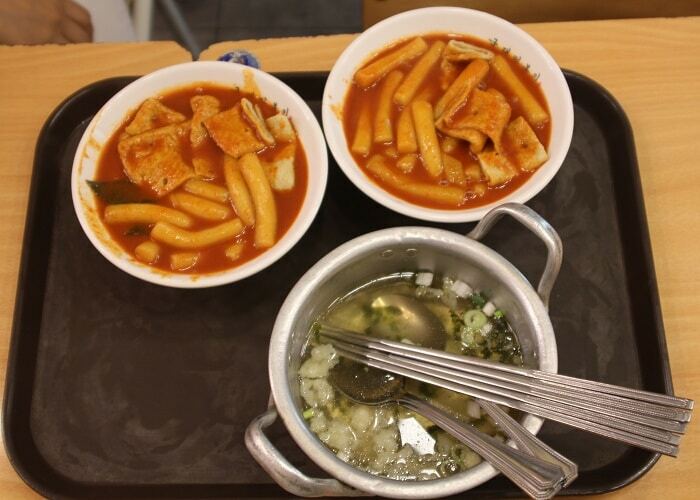 The streets of Bukchon are lined with beautiful and cozy cafés and restaurants, as well as street stalls selling popular snacks like tteokbokki, ice cream, waffles and whatever else the chefs can think of. In recent years, some young people have begun to offer cycle rickshaw tours, which used to function as taxis. The drivers take visitors around every nook and cranny of the neighborhood, providing explanations about the neighborhood’s history and its beautiful hidden spots. 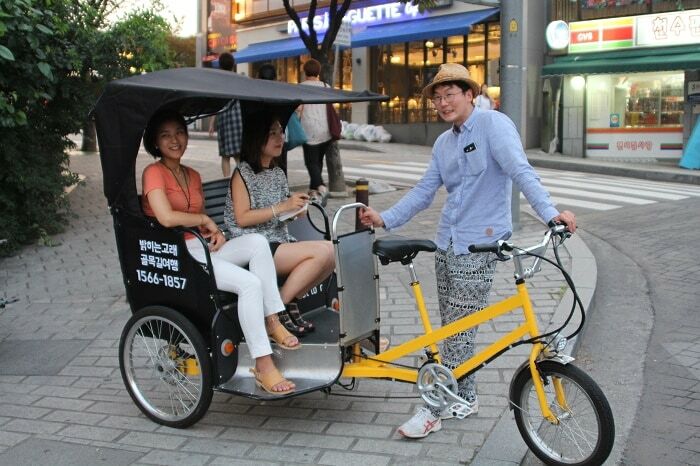 With visitors sitting behind him, Kim Hyung-jun, or Jun, one of the pedicab drivers, says that he is healthy enough to have ridden his bicycle across the country and across the U.S., setting his passengers at ease. He can take as many as three adults at a time. No matter how heavy they are, he can speed up and slow down, turn left or right, and whenever he wants to even enter the narrow alleyways. Travelers can learn about the hidden sides of Bukchon that they could otherwise never see just by looking from the outside. 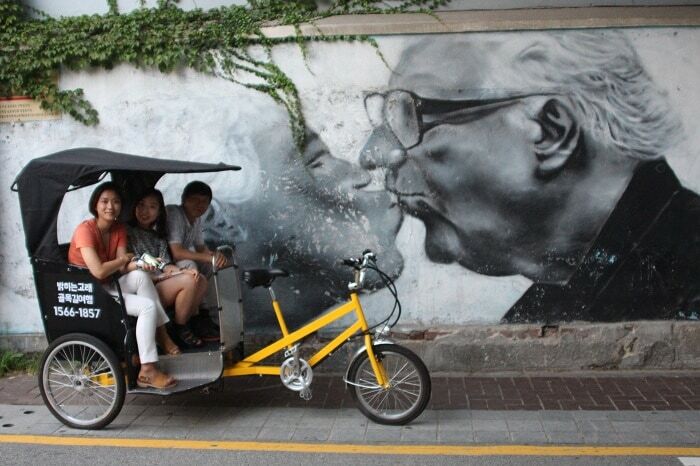 Jun, a pedal bike driver, introduces travelers to the history and hidden spots of Bukchon. Many people who want to experience Korea’s past opt to stay in a Hanok bed & breakfast. An overnight stay in a traditional Hanok home can give visitors memories full of warmth and hospitality.